Expectations were high for the men’s soccer team as they went into the NCAA Division III men’s soccer tournament with an impressive 14–2–1 record for the season and ranked second in the Great Lakes region by the NCAA. As a result of their success during the regular season, Carnegie Mellon was granted the right to host the first two rounds of the NCAA tournament. Carnegie Mellon played Thomas More College in the first round. The Tartans could also potentially get revenge on their Great Lakes rival, Ohio Wesleyan University, in the sectional finals, who two months ago gave Carnegie Mellon its worst defeat of the season. Carnegie Mellon’s first match of the tournament against Thomas More proved to be an exciting one. Right from the beginning, both teams came out playing a very fast-paced game in search of the first goal. After some quick pressure from Thomas More, Carnegie Mellon answered back by netting the first goal of the game. Senior forward and University Athletic Association (UAA) Player of the Year Ricky Griffin was able to find fellow senior Ryan Browne with a short pass behind the defense, and Browne was able to do the rest. To the Tartans’ surprise, Thomas More came back with an impressive attack themselves four minutes later, as Carnegie Mellon senior goalkeeper Maks Khurgin was forced to make a tough save. The Tartans were not able to take advantage of their one-goal lead as Thomas More was finally able to score in the 36th minute. The Tartans came out in the second half very eager to win the game and move on to the next round of the tournament. The Tartans elevated their level of play and tore up Thomas More’s back line with some excellent passing. The buildup led to a great effort by senior Pat Lutz to score Carnegie Mellon’s second goal of the game five minutes into the second half. 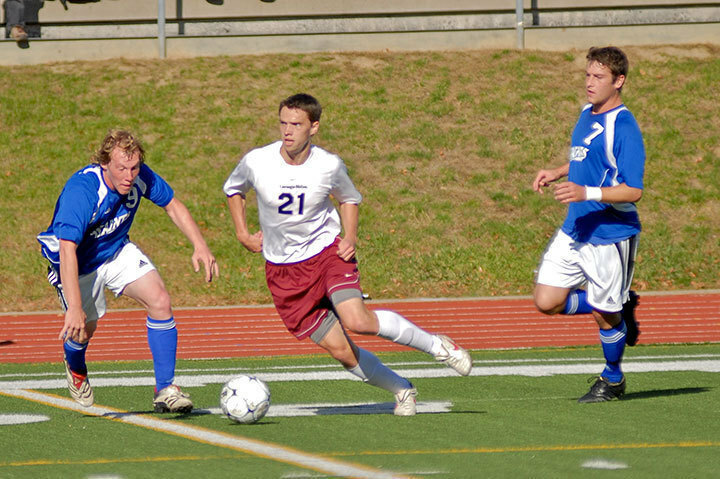 Browne got his second of the game in the 65th minute and teammate senior Jon Simon secured the win four minutes later. 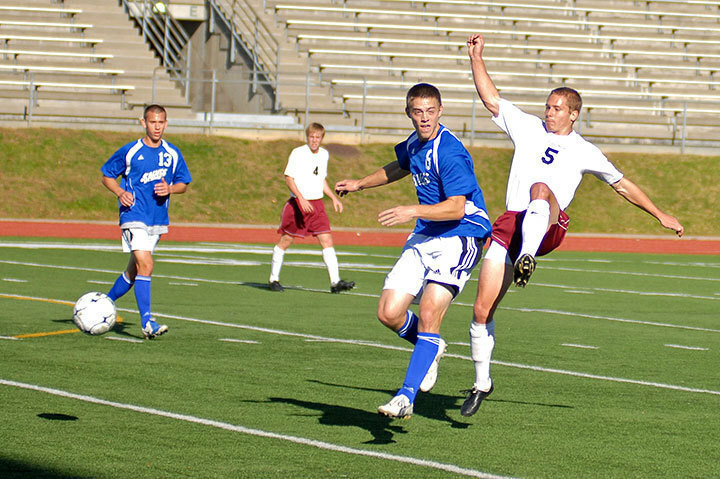 Thomas More got a consolation goal toward the end of the match and Carnegie Mellon went on to win 4–2. Carnegie Mellon played their second round game in Gesling Stadium this past Sunday. Details on the game will be available online Tuesday.